My kid eats dog biscuits. I don’t encourage this. I’ve given up. “It’s the only meat I eat, Mom, it’s good for me.” I can’t control it. He gets out of bed or sneaks around when I’m not looking, stealing them from the cookie jar like they were chocolate chip cookies. The dog sighs. She doesn’t challenge him. She knows she’s going to snag the roast off the table anyway the moment I turn my head. I’m fighting on two fronts. I suppose Milk-Bones are healthy for boys if they’re good for dogs. Declan tells me they are. Look carefully. 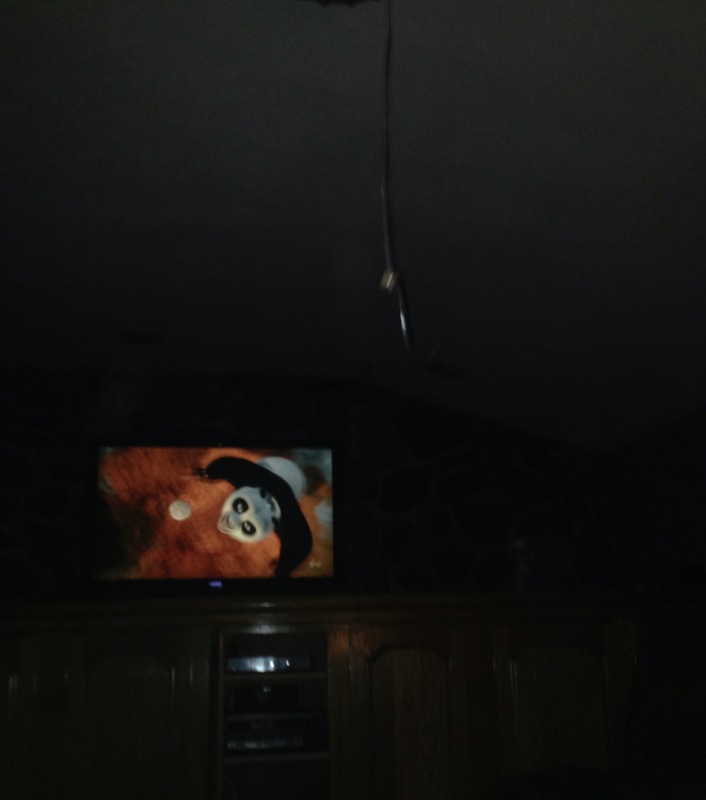 You are seeing a dog biscuit fragment sailing high above Kung Fu Panda. Two things my boy loves–dog biscuits and science. On Thanksgiving, he managed to integrate the two. His goal was to determine the size a dog biscuit would have to be in order to float on a mylar balloon. My job was to tie and secure the slipknots around the biscuit, cheer if it flew and look disappointed if it did not. First, we tried a full Milk-Bone, which securely anchored the balloon to the ground. Declan’s face scrunched, finger to his cheek. “I guess it’s too big,” he said. “I gotta fix it.” He broke the Milk-Bone in half. I started to tie the knot. He switched the halves, giving me the small piece. He knew it would weigh less. I put the slipknot around the smaller piece. Meanwhile, he ate the bigger one. The balloon sank to the ground. Even the smaller part of the biscuit was too heavy. “Can’t we just use pencils or crayons or something? I can weigh them on my bread scale. This is disgusting.” I try to be a good Mom. “Nope.” His word was final. He took a bite off of the small biscuit piece and handed the remaining fragment to me. I tied the string around the slime. It sunk to the ground. But bounced once on the way up. “Look, we almost did it!” Science. It’s exciting when science goes right. He looked at the biscuit. He poked it a bit. The biscuit very much wanted to soar free like the bird it once may have been. I’m not sure what “meat byproduct” actually means. It all tastes like chicken, I’m told. 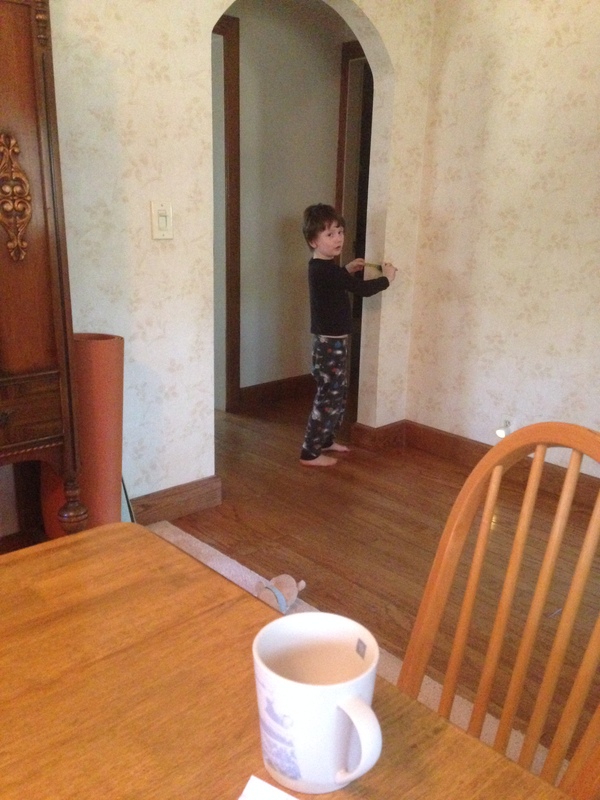 He picked up the piece, nibbled a bit off of each end, held it back, examined it, and nodded his approval. Not only did he intuitively recognize the relationship between size and weight, he knew about balance, too. The string had to be centered. He had also figured out a bit about efficiency by simply biting off the ends instead of untying and retying the string around the biscuit. Efficiency is big in science these days. It makes money in business, too, I’m told. Entrepreneurs read and write books about it, must be important. He released the string and biscuit. It flew. It flew around the living room. The dog considered reclaiming it, but she was in her post “I begged for turkey” slumber. Every dog knows half a turkey is better than a Milk-Bone. One Milk-Bone gone, several principles of science learned. 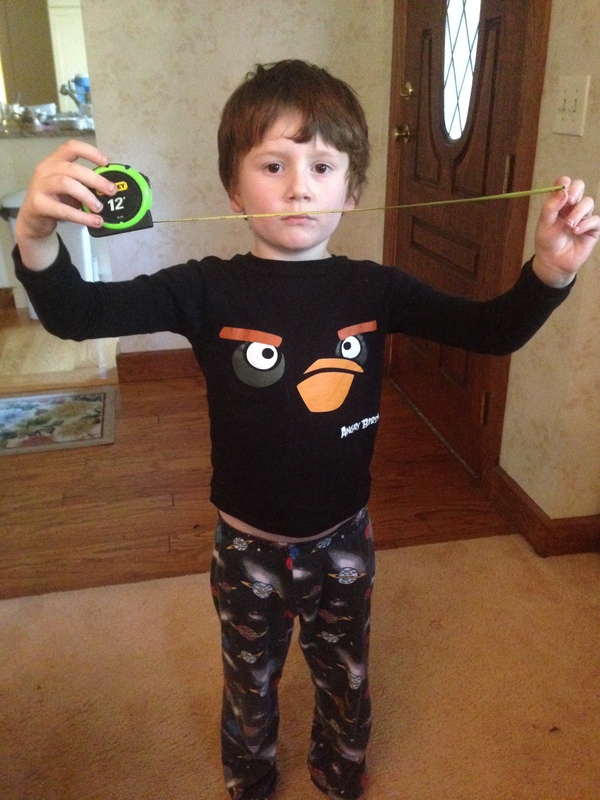 Today, he is measuring things and making comparisons. He usually writes these things in his field journal, a spiral notebook filled with pictures of animals, dinos, and bugs. It’s the holiday weekend. He’s taking it easy. But if I ask him about school, he says, “Boring.” Already. Despite his fantastic teacher who is the definition of awesome. So maybe it’s not about school but about the methods of inquiry and intrinsic learning. He wants to learn about dinos and write them in a field journal. And measure things. And learn about balance points, gravity’s relationship with dog biscuits. And entrepreneurship–because I had to pay a lollipop, again, to secure the rights to these photos. I think school could be fun. Kids have the ability to knock things out of the park. We just have to let them. Then someone has to let us do just that.